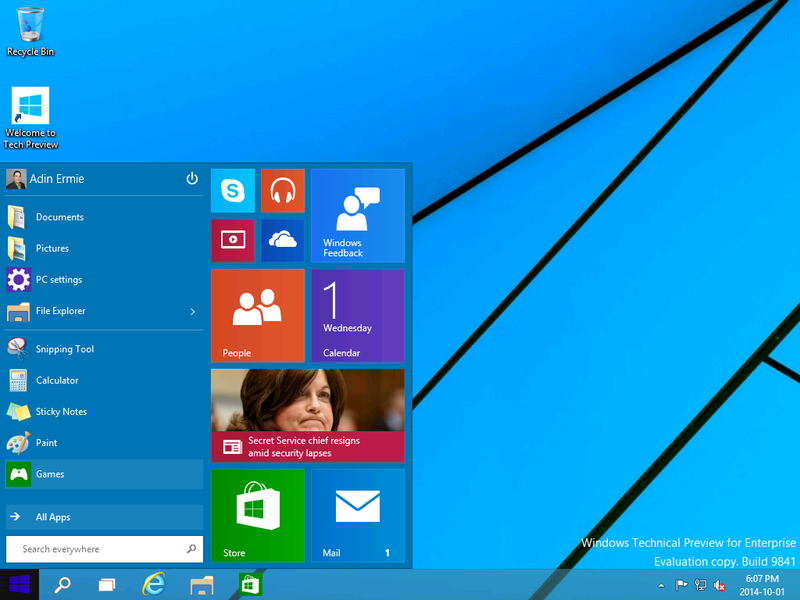 For those that may not know, Microsoft announced yesterday the new version of Windows, called Windows 10. Yes, that’s right, we’ve gone from Windows 8/8.1 straight to 10, no 9. Why you may wonder? Well according to the Q & A session after the event (found here via TheVerge), one individual asked “Can you talk about the name? 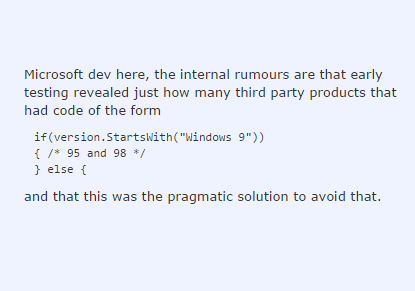 Seems weird going from Windows 8 to Windows 10.” Their answer was “This product, when you see the product in your fullness I think you’ll agree with us that it’s a more appropriate name.” That makes one think that there are so many changes, that it’s considered more than a single iteration/version increase. If you are interested, here is the YouTUbe video link that was recorded at the event: https://www.youtube.com/watch?v=NfveyXCsiA8&list=UUVGOyzms_XJNk_DHqrffXCw. To get started, head over to https://insider.windows.com/ and signup for the Windows Insider Program and download the Technical Preview. Here are the System Requirements as provided by Microsoft. Basically, if your PC can run Windows 8.1, you’re good to go. If you’re not sure, don’t worry—Windows will check your system to make sure it can install the preview. 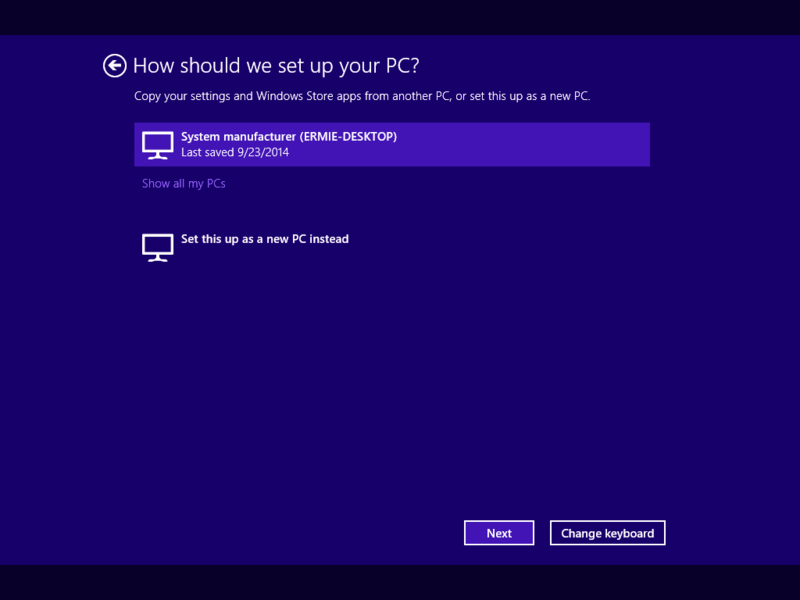 Some PC processors and hardware configurations aren’t supported by Technical Preview. To access the Windows Store and to download and run apps, you need an Internet connection, a screen resolution of at least 1024 x 768, and a Microsoft account. After you install the preview, you won’t be able to play DVDs using Windows Media Player. 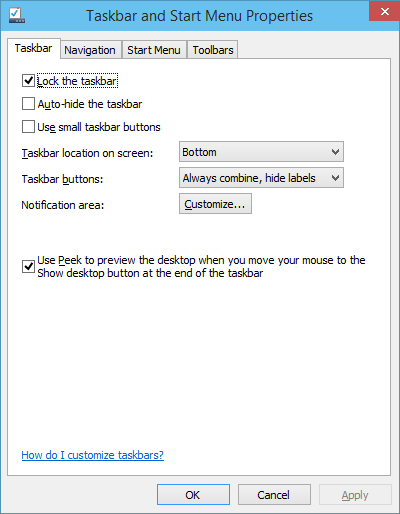 If you have Windows 8 Pro with Media Center and you install the preview, Windows Media Center will be removed. The preview won’t work on Windows RT 8.1 and Windows N editions. A small number of older, 64-bit CPUs might be blocked from installing the preview. Microsoft has also made available a Windows Technical Preview Quick Guide to help you get started. 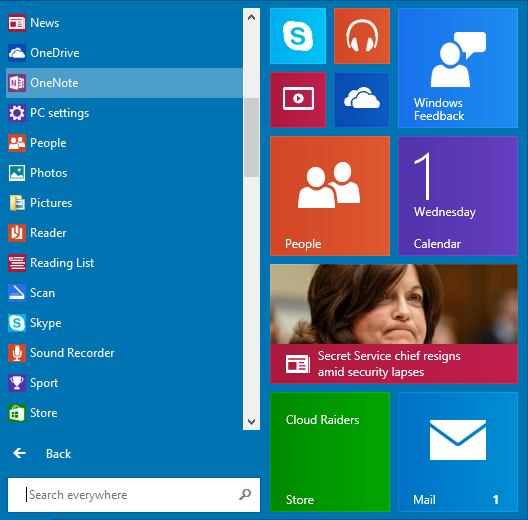 But now, let’s take a first look at Windows 10. We’ll start by examining the Windows installation. I’m installing Windows 10 in my lab, on a Virtual Machine (VM). So, I have already downloaded the ISO, and mounted it to my VM. Obviously, one is the consumer version of the OS (i.e. like Windows 8.1 Pro), and the other is the Enterprise version. I’m going to be working with the Enterprise version of the OS. The installation is straight forward, and very much like installing Windows 8, so we won’t waste time/screenshots on stuff we already know. Once the installation is complete, we get the configuration of Windows. 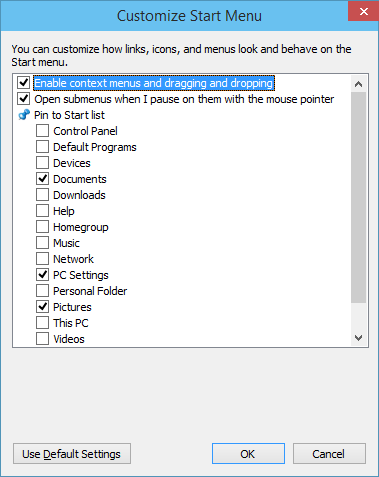 I noticed this option to choose how we setup the PC, either by copying my existing settings (since I logged in with my Microsoft account). For this lab example, I am going to set up this as a new PC. Once everything loads and is setup, we have the desktop. 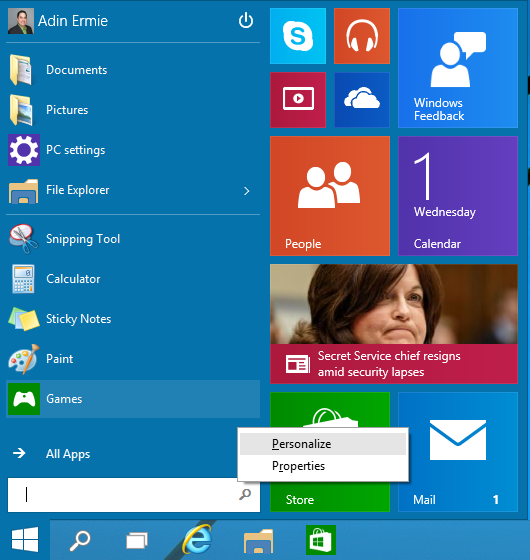 One of the main changes is the Start Menu. 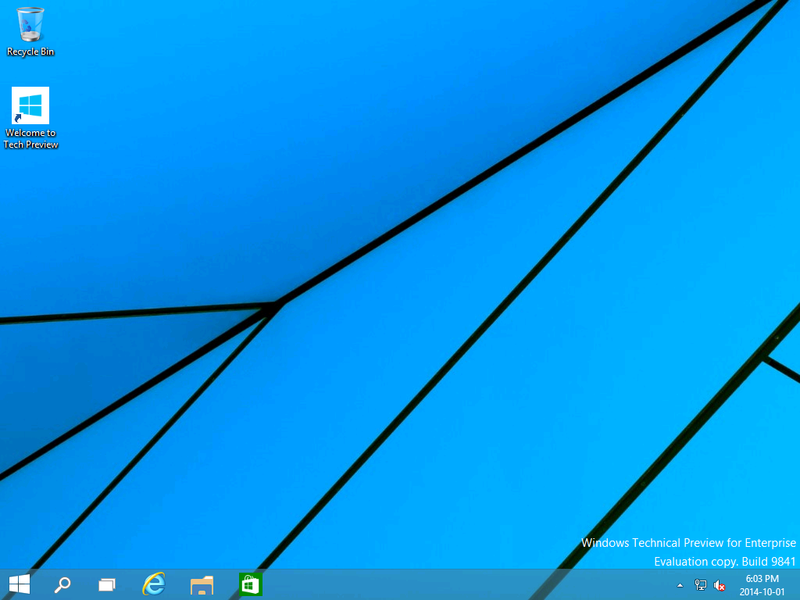 We see the Windows 7 style, combined with the Windows 8 live tiles. We can even resize the tiles. Notice that OneNote and Skype are also installed by default. 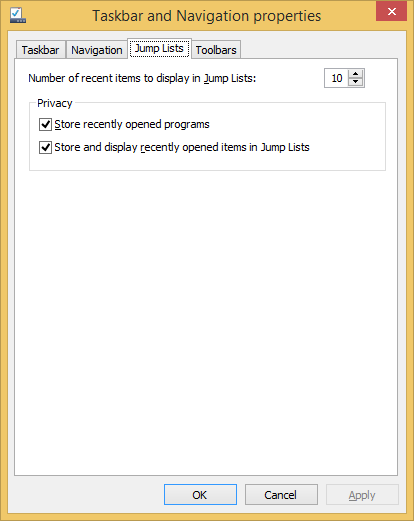 If you right-click on the Start Menu, choose Personalize. We now have the option to change the color. 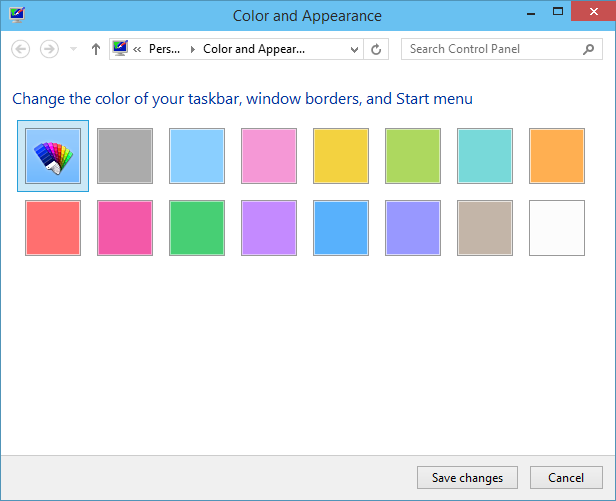 This is similar to Windows 8, but this will also change the color of the start menu as well. 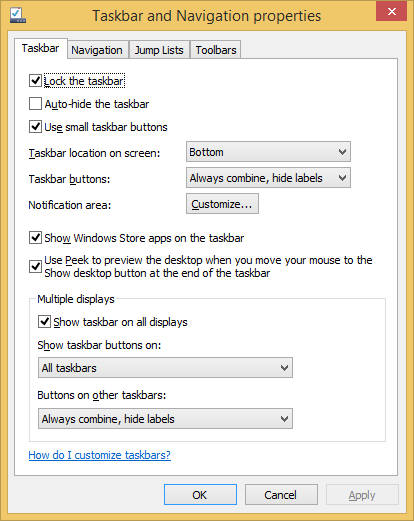 There are some changes with the Taskbar properties as well. 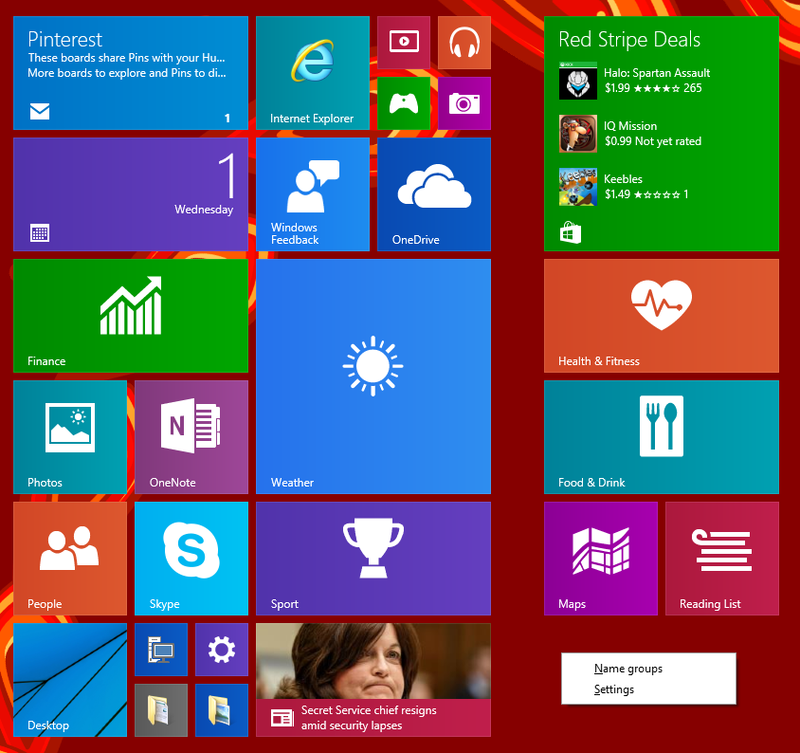 Here’s a comparison between Windows 8 and Windows 10. 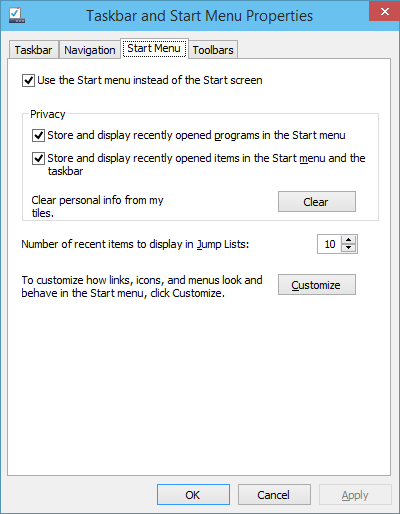 If you un-select the option “Use the Start menu instead of the Start screen”, you will encounter the following message. One of the nice new features is the multiple desktops. I tried to see if there was a limit to the number of desktops. I got to 11, before I couldn’t fit anymore on my screen. Unfortunately, I didn’t have an option to scroll through the existing/open desktops. If you choose to switch back to the Windows 8 start screen style, it will familiar to Windows 8. But now, if we right-click, we see a new “Settings” option, which causes the Settings in the Charm bar to appear. 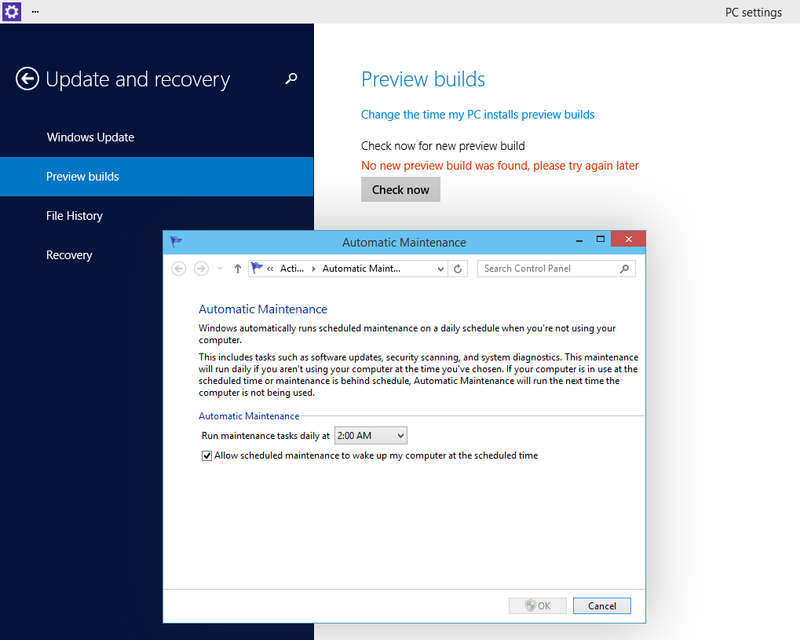 There is an option for Preview Builds to check for updates to the preview OS installed. Who knows if this will be present later, but maybe it will be used for OS updates (not Windows Updates, but like Windows 8 to 8.1 update). If you check out the PowerShell version, we see we’re using the new PowerShell 5. So that’s my first experience with Windows 10!